Someone or something has been robbing eggs from the chicken house. Hank stakes out the chicken house and to his surprise sees a fiddle-playing fox hop in with the hens, play them some hot fiddle music, and then accept several fresh eggs as his payment! 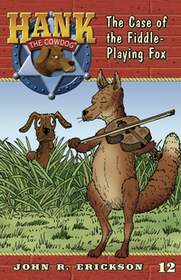 Instead of arresting Frankie the Fox, Hank joins forces with him to try and win the heart of Beulah the Collie.